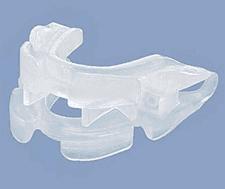 MADS or mandibular advancement devices hold your jaw slightly forward in order to open up your airway and keep you from making any snoring sounds. The SnoreRX and the VitalSleep devices are MADs. Each of the anti-snoring devices fit inside your mouth. Both are very comfortable to wear. My wife and I found that we preferred the VitalSleep. The VitalSleep provided a more customized fit, cleaned easier, and cost less than the SnoreRX. After the boil and bite fitting, we took our time and fiddled with the adjustments settings on both devices to ensure a snug, comfortable fit for each of us. They both worked well. My experience with both of them should enable you to make an informed choice as to which one would be best for you. My wife and I found that the unique side-to-side motion allowed by the VitalSleep was one of our favorite features. The jaw adjustments, like with the SnoreRX, enabled us to get a great fit after the initial boil and bite fitting. Another great feature for us was the cleaning. All you need is a toothbrush and dish soap. There are some cracks and crevices, so you have to take your time to ensure that you get rid of all the bacteria. The box arrived quickly after placing the order. I bought two, a small one for my wife and large for me. We used boil and bite, and then had to tweak the jaw adjustment with the hex tool provided before we were satisfied with the fit. My son reported that after we had fallen asleep he heard no noise coming from our room. I had to get up to let the dog out at one point, and noticed my wife silently sleeping. The next morning, other than a slightly sore jaw which usually happens when I first test a device, I felt great. My wife reported she felt fine too. The second night I adjusted the device slightly and my jaw felt fine the next morning. Like the SnoreRX, we had to spend a little more time than we expected to clean it with the toothbrush. It did not take too long though. Overall, the stop snoring mouthpiece worked as advertised. Wearing it stopped my wife and me from snoring. Oddly shaped, the SnoreRX at first appears as if it would be hard to wear. It isn't. The Flex Jaw technology gives it a more advanced look compared to most other MADS. Once you complete the fitting process, you will find that it is comfortable an easy to wear. The Flex Jaw, with its tiny increments, provides a simple way to ensure the perfect fit. Unlike exclusive boil and bite fitting MADS, if you do not get the fitting perfect the first time, you have the opportunity to correct any mistake you might have made. You have to use a two-phase process to clean the SnoreRX. Since it has several movable parts, you will need to first scrub the hard-to-reach areas with a toothbrush and then clean it using a denture cleaning tablet. It was worth the time it took my wife and I to fit the SnoreRX to our mouths. After the first night, I found that I had some soreness in my jaw. However, I adjusted it slightly with the Jaw Flex and the next morning the soreness disappeared. The device worked well for both of us. I awoke to use the bathroom around 2 am and my wife was sound asleep, and I could barely even hear her breathing. My wife reported the same experience when she went to put the dogs out. Apparently, I was in a deep and soundless sleep. The first time we cleaned them, it took seemingly forever. We had to get used to scrubbing it and ensuring we got all the little crevices with the brush. The easy part was dropping it along with a denture tablet into a glass of warm water. Eventually, however, we got used to the process. The SnoreRX and VitalSleep MADS look different but the fitting, cleaning and results are the essentially the same. Each stopped my wife and me from snoring. Overall, the price, along with the slightly easier fitting and comfort of the side-to-side jaw movement compared to a fixed jaw position that the SnoreRX device demands, makes the VitalSleep worth trying. Update: My current snoring solution is SnoreRX, but when I tested VitalSleep it worked as advertised. Overall, the price, along with the slightly easier fitting and comfort of the side-to-side jaw movement compared to a fixed jaw position that the SnoreRX device demands, makes me more inclined to recommend the VitalSleep. 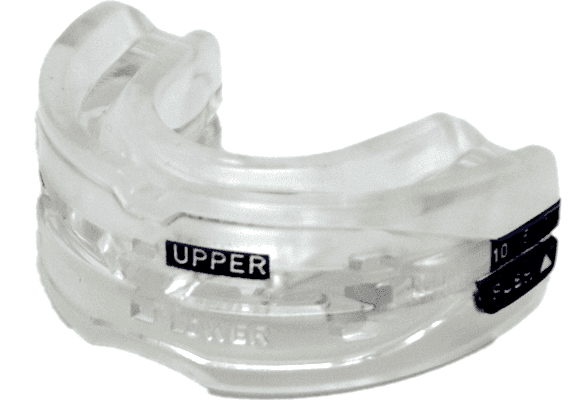 If you purchase either mouthguard, make sure to use a SnoreRX coupon or VitalSleep coupon.